Dulcimers, banjos, sitars, tablas, harps and hundreds of other acoustic noisemakers can be found here. Don’t be shy, sign up for a harmonica workshop, ukulele class, or slide guitar lessons. 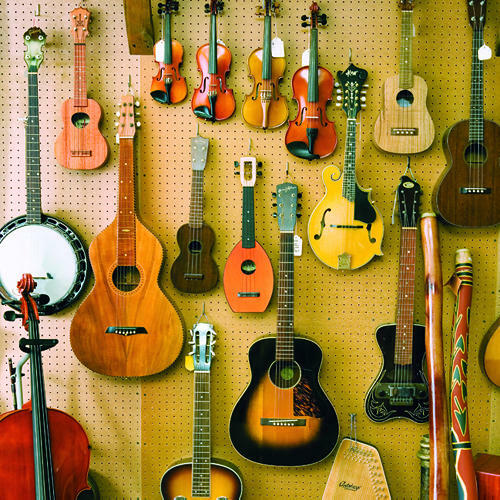 Antique and vintage instruments from all over the world are displayed throughout the store.